Step 3. 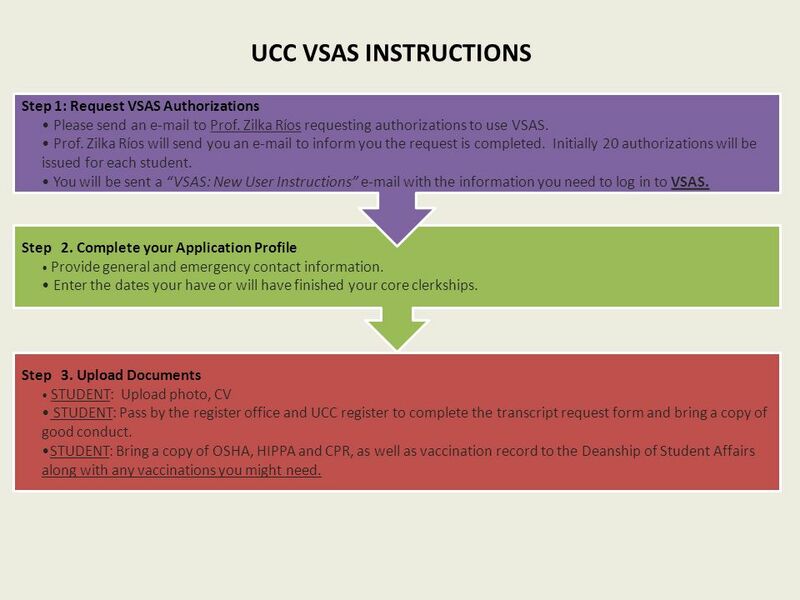 Upload Documents • STUDENT: Upload photo, CV • STUDENT: Pass by the register office and UCC register to complete the transcript request form and bring a copy of good conduct. •STUDENT: Bring a copy of OSHA, HIPPA and CPR, as well as vaccination record to the Deanship of Student Affairs along with any vaccinations you might need. Step 2. 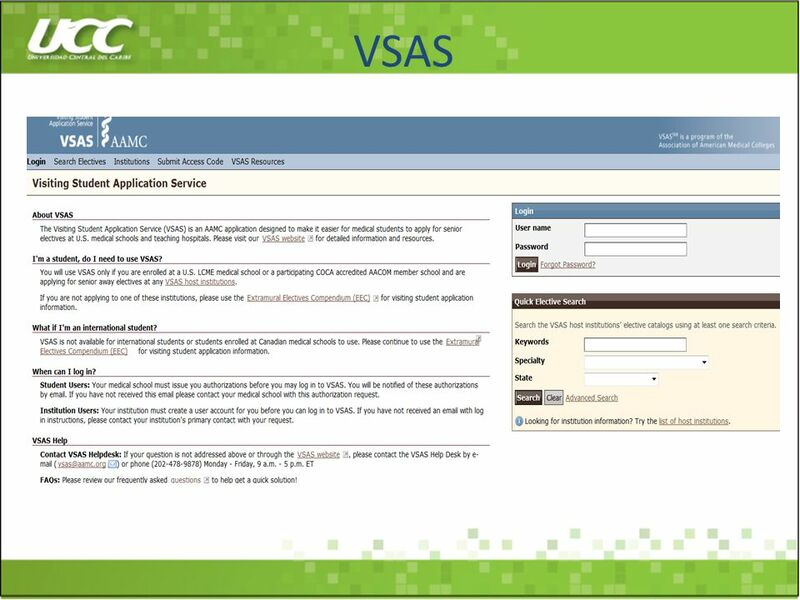 Complete your Application Profile • Provide general and emergency contact information. 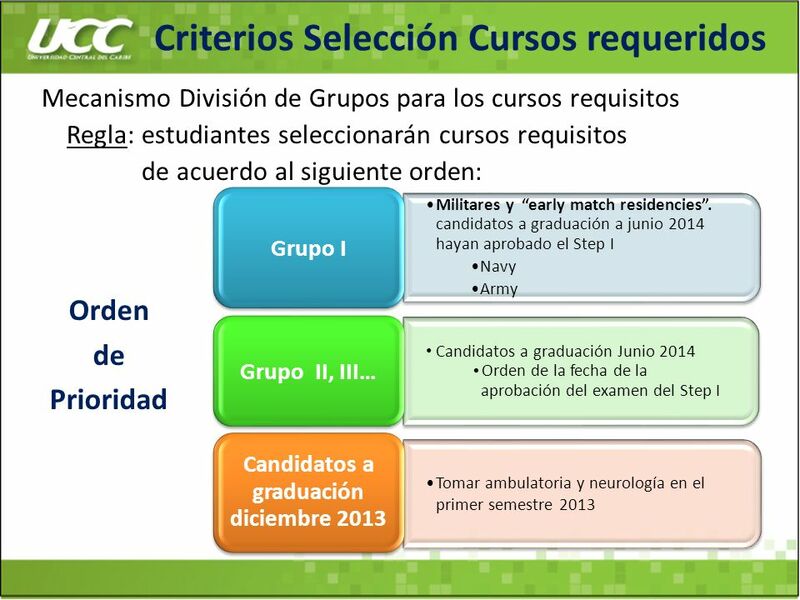 • Enter the dates your have or will have finished your core clerkships. 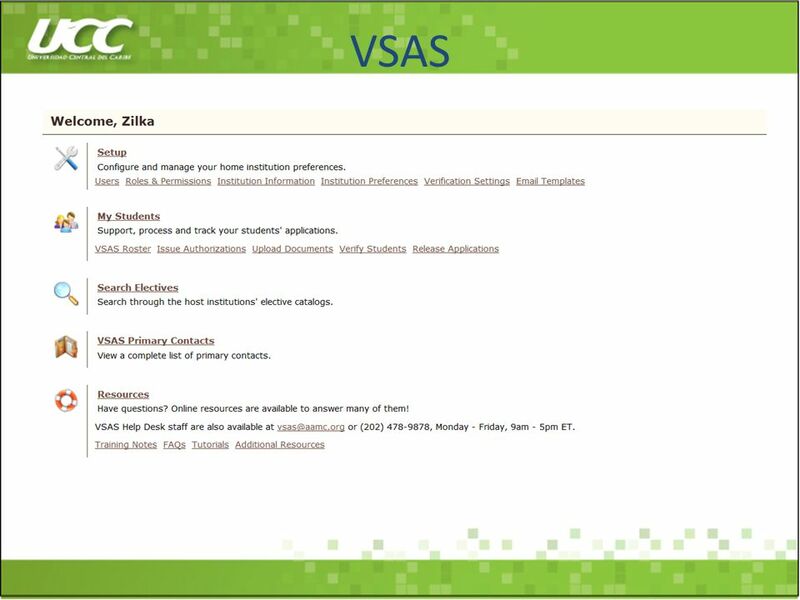 Step 1: Request VSAS Authorizations • Please send an to Prof. Zilka Ríos requesting authorizations to use VSAS. 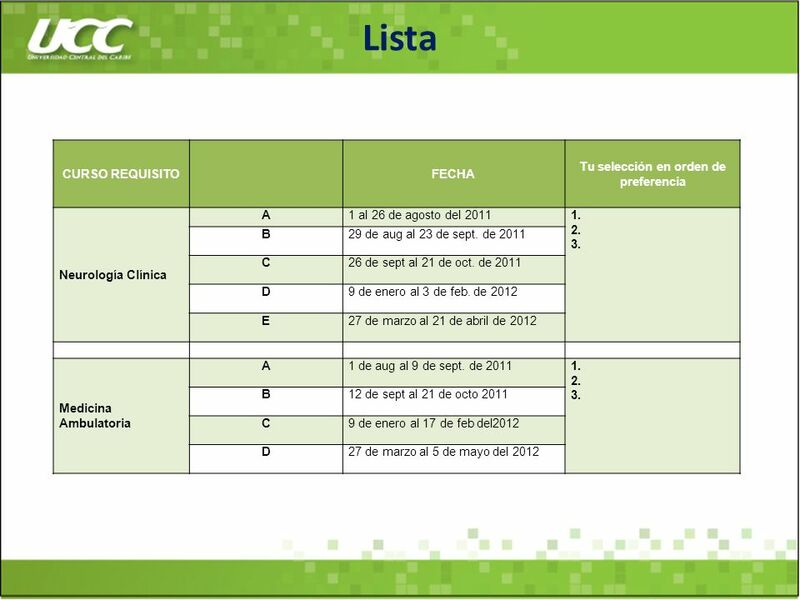 • Prof. Zilka Ríos will send you an to inform you the request is completed. Initially 20 authorizations will be issued for each student. 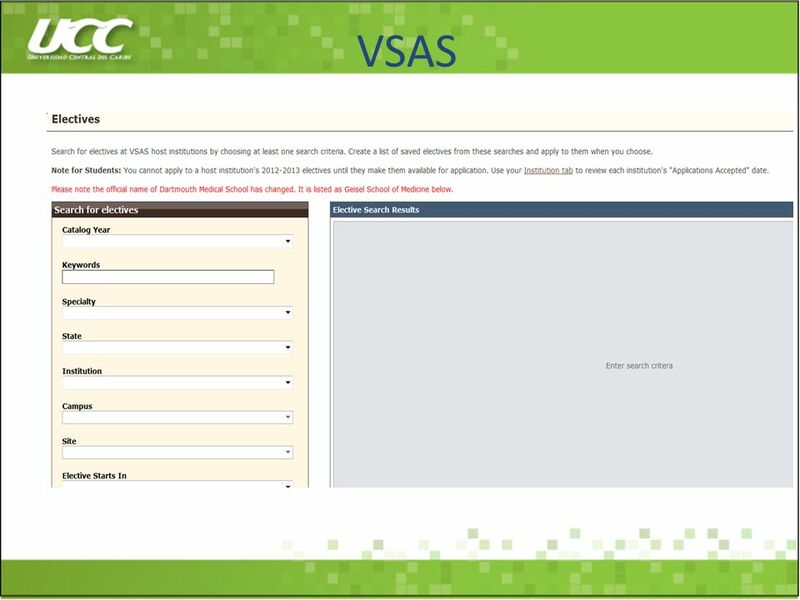 • You will be sent a “VSAS: New User Instructions” with the information you need to log in to VSAS. Step 7. 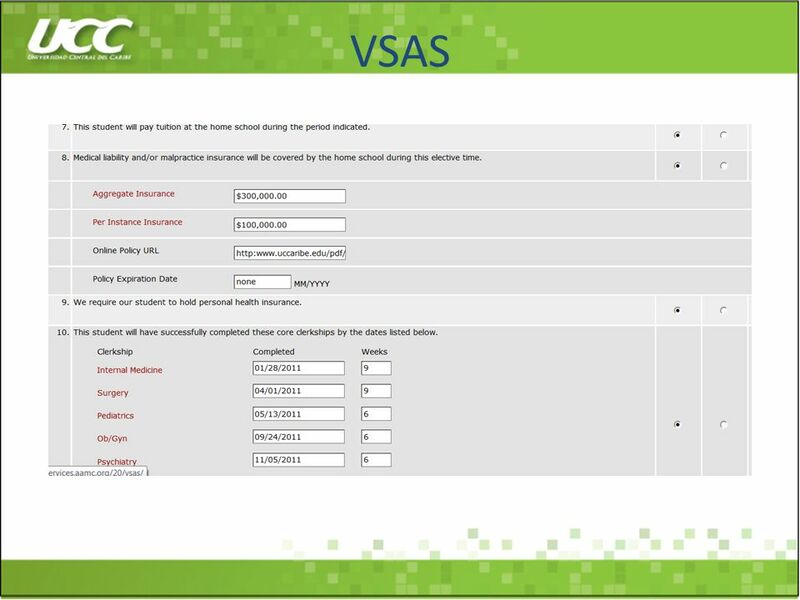 Read s •Make sure the address in your VSAS profile is current, as you will receive s notifying you of: • offers for electives and offers with impending expirations. • scheduling conflicts between offered and/or already scheduled electives. 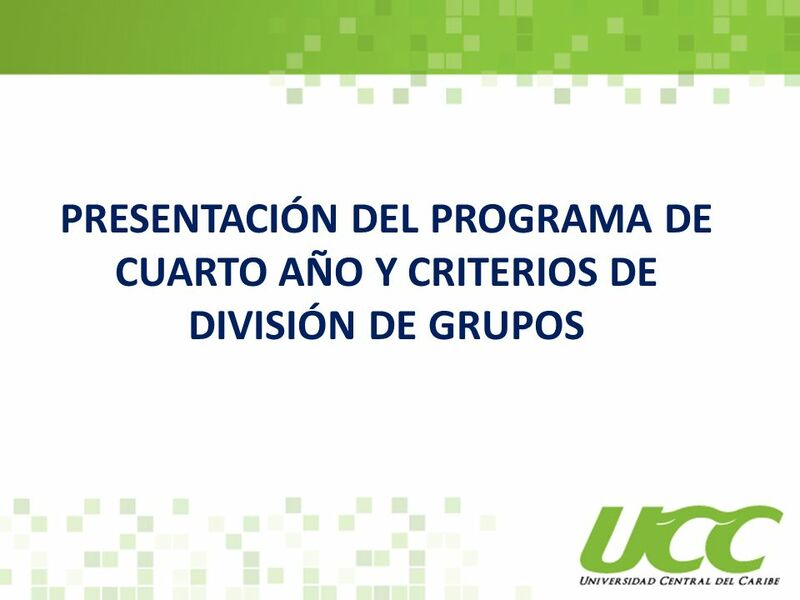 These conflicts must be resolved 30 days before the start of the first elective. Step 6. 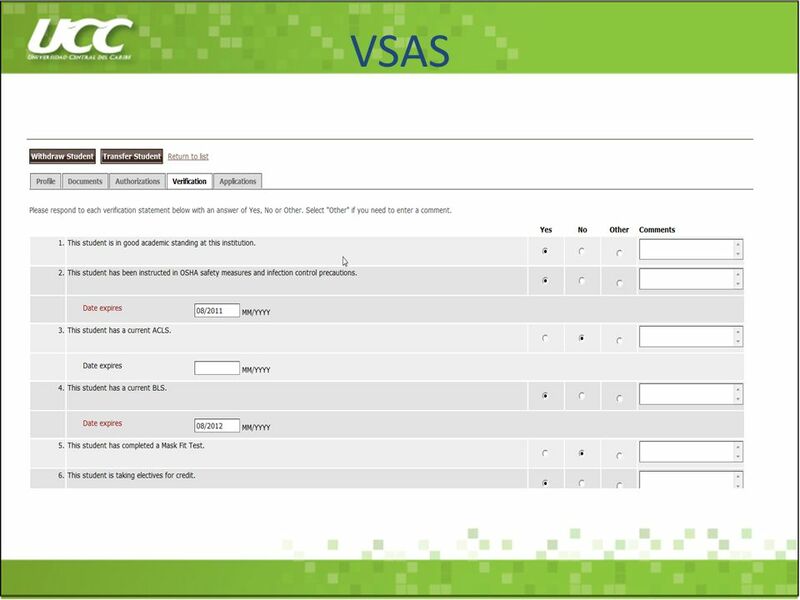 Track Offers • FREQUENTLY (specify timeframe weekly or any other) Log in to VSAS to review your pending applications and received offers. • Accept or decline offers received from host institutions. o If you don’t respond to an offer, within a timeframe set by the host institution, it will expire. Step 5. 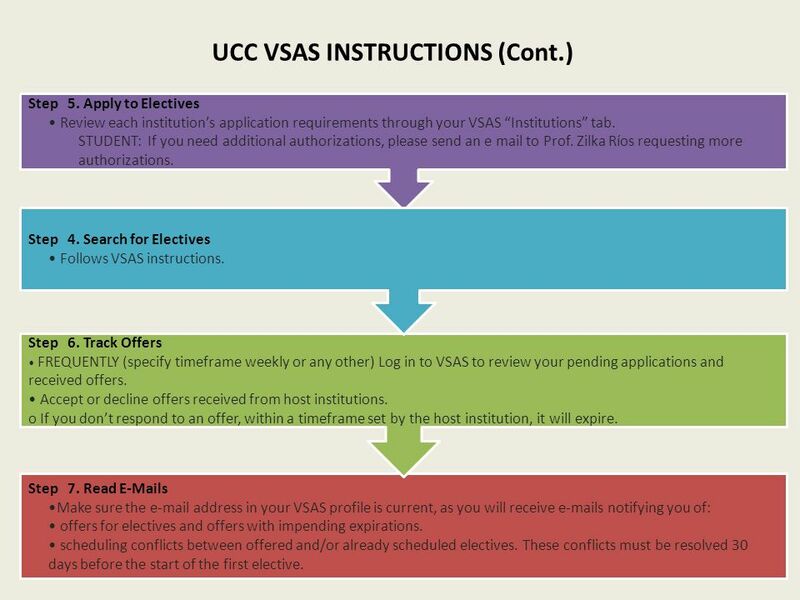 Apply to Electives • Review each institution’s application requirements through your VSAS “Institutions” tab. 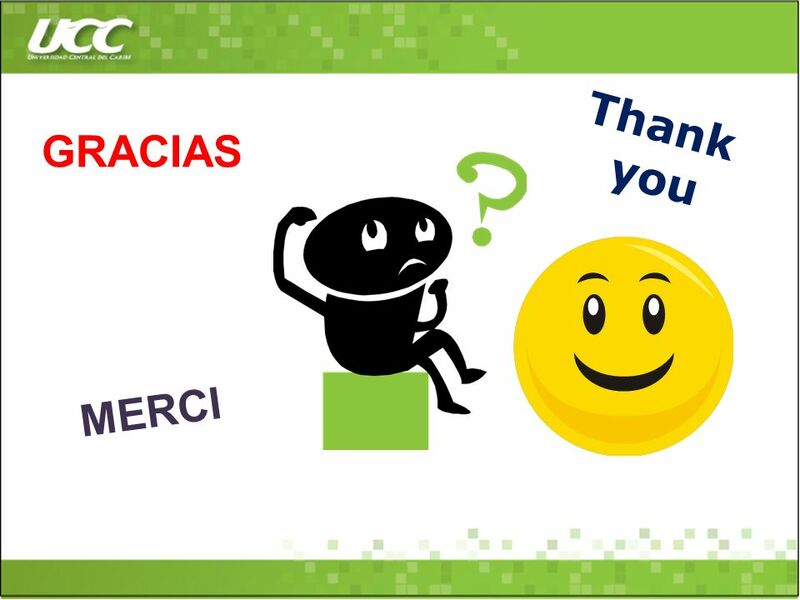 STUDENT: If you need additional authorizations, please send an e mail to Prof. Zilka Ríos requesting more authorizations. Step 4. 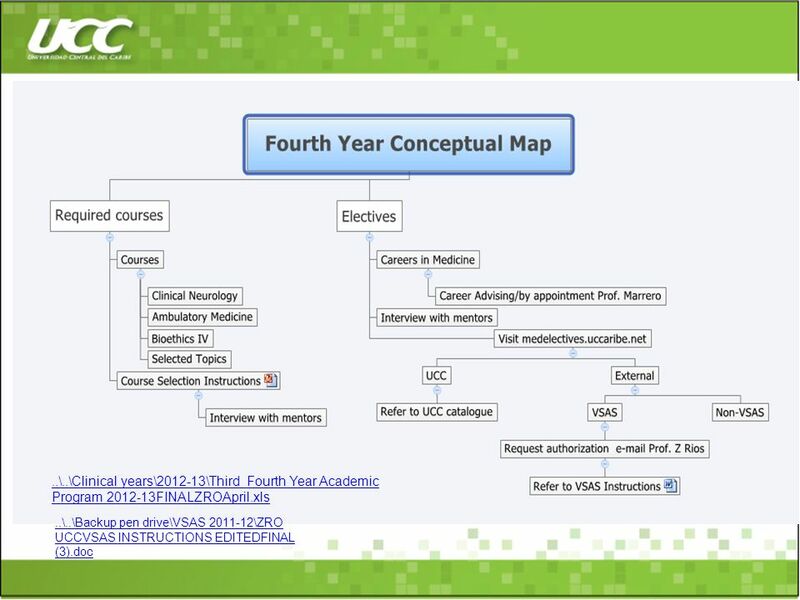 Search for Electives • Follows VSAS instructions. 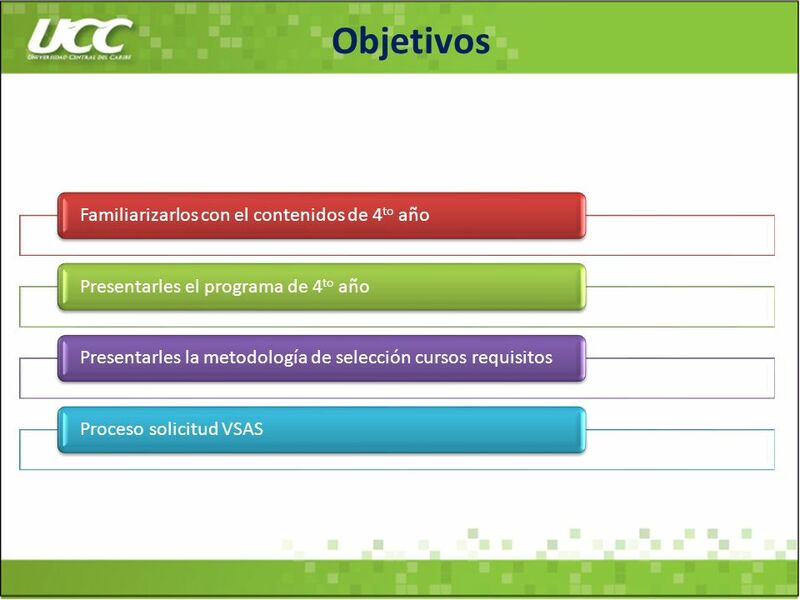 Descargar ppt "Objetivos Familiarizarlos con el contenidos de 4to año"
Estar Forms PRESENTPRETERITEIMPERFECT estoyestuveestaba estásestuvisteestabas estáestuvoestaba estamosestuvimosestábamos estáisestuvisteisestabais estánestuvieronestaban. 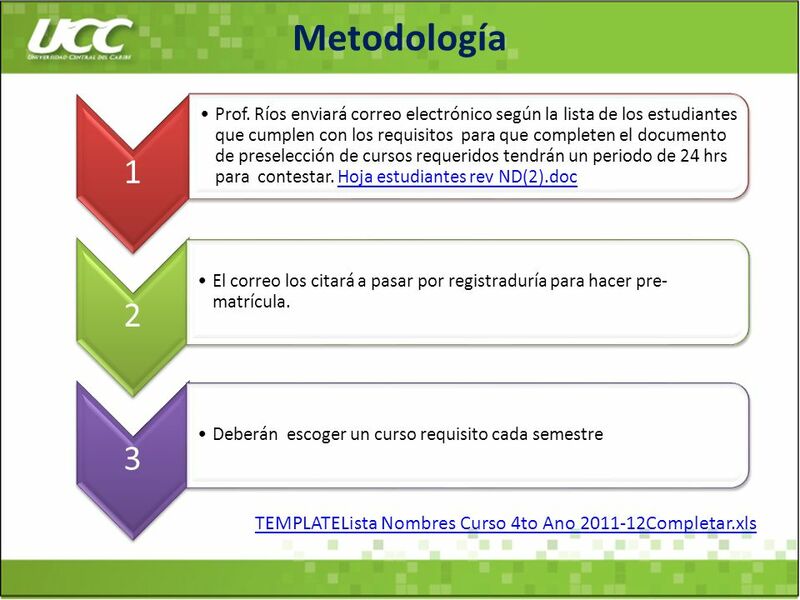 In your Viva on the contenido page, write: El calendario y los númerospágina dos Remember to use different colors when writing vocabulary and on your. La entrevista Mosaicos, pp. 325, 355. After her positive experience at the job fair, Malena has decided to go for an interview for a position in perfume. Telling time in Spanish: Explanation Practice exercise index McCarron.